Keep suitably hydrated with the Perfectly Drinkable Tap Water Bottle. 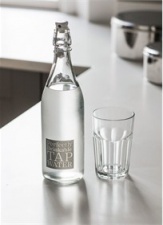 Crafted from Glass with a secure Ceramic stopper, the bottle can be filled to the brim with fresh water and positioned on the table for breakfast, lunch and dinner. The water bottle is also perfect for use in bars, restaurants and hotels, adding a stylish design element to the table that stands out more than plain glass bottles. 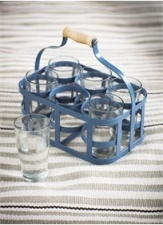 This contemporary piece is the perfect choice when looking to update your dining collections.